which unquestionably results in a physical reaction. Eventually the proper vibration for every person will be found and utilized. Whether at the Institute or online we use different techniques to find your frequency. (at Institute we playback the CD, “Awakening,” in your key on the Sound Table for 20 minutes). In the past we have had many “miracle stories” come out of listening to the CD in a person’s key. One woman went from being suicidal to completely grounded within a week. The song is very peaceful and activating at the same time. It is also based on the tempo of a really slow and peaceful breath. (I listen to mine in the key of B just about every day. It is especially helpful whenever I feel ungrounded or a little whacked out). It is so nice to know where home is, and to be able to get back to it whenever you like. It has been shown in controlled research that when you resonate your frequency more consistently, every organ and system in your body falls into alignment. Using Skype and your webcam, we do a process to find your frequency. We then send you a CD in your key. About a dozen of the leading scholars and researchers in the field of sound healing believe that we have a particular frequency that entrains us into optimum health. Some see it as a central processing frequency, some see it as your Soul frequency. You can often notice it in an individual when they are at peace or in love. When it is consistent in a person, it is really obvious (Eckhart Tolle and the Dalai Lama to name a couple). David Gibson has been teaching students how to find this frequency, and has been offering the assessment in the Sound Therapy Center over the last eight years, and has developed a highly intuitive sense for picking up the exact note. Some use the sound of the voice to find this frequency, but we have discovered that your true soul frequency is not the key note of your voice. This is why we need to see you to do the assessment really well. When you are in your root frequency, your sympathetic and parasympathetic systems come into balance and your whole system functions more harmoniously. You are more center, grounded and perfectly present. The more you come into aignment with your frequency, it becomes a stable, constant grounding and centering vibration that protects you. As the frequency strengthens and deepens within you, you will be better equipped to handle anything that has the potential to throw you off center such as conflict, charged emotion, trauma, frustration and fear. You simply return to your frequency center where you are at, separate from these other energies. You don’t shut the world out, you simply hold your own space better. 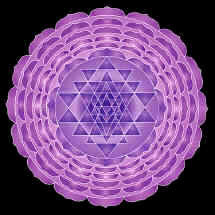 This frequency is most apparent when you are centered, grounded or in love. The frequency naturally emanates from you when you are in perfect present awareness of now. There are many chaotic frequencies that distract us from our own. There are car sounds, sounds of the city, electricity, and electromagnetism — not to mention our own emotions, and the emotions of others. Therefore, it is easy to lose touch with our own frequency. You can use sound to resonate your frequency in order to restore your connection to it. Simply toning can do it, but there is nothing like getting on a sound table with the right combination of consistent sounds. The truth is that any consistent frequency will essentially resonate your own root frequency. When any frequency is resonated within you your root frequency is naturally triggered because your system knows all frequencies and recognizes it as a musical interval. This is one underlying power of music is that it gets your own frequency humming again. However, music that has a consistent root note of the key of the song present will be more conducive to resonating your frequency. The trick is to find drone music that is the right combination of calming versus activating so as to not make you bored or too agitated. Again, the most powerful way to get your frequency humming inside of you again is to get on a sound table. The vibration is so intense that it jump starts your own frequency powerfully. all based around your soul frequency! We do the assessment using various techniques including kinesiology to determine your root/soul frequency. You then receive a half hour treatment on the sound table playing back sound and music based on the key note of your soul frequency. You then get a copy of the CD with the song based on your frequency. The total cost is $50 (normally just the CD is $20 and $5 for shipping).